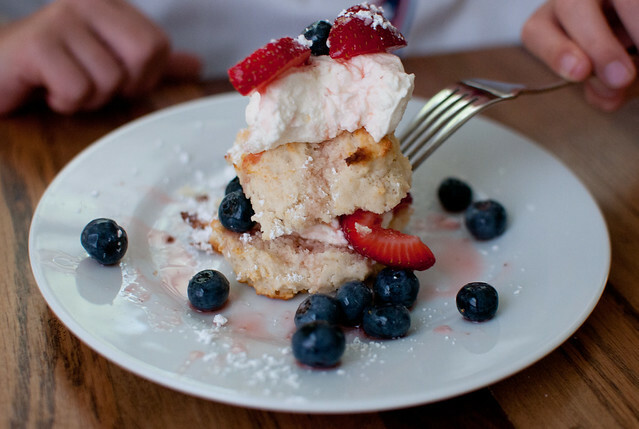 Strawberry shortcakes are one of my favorite summer desserts. They are easy to make, only require a few ingredients I usually already have on hand and the messier they are the better. 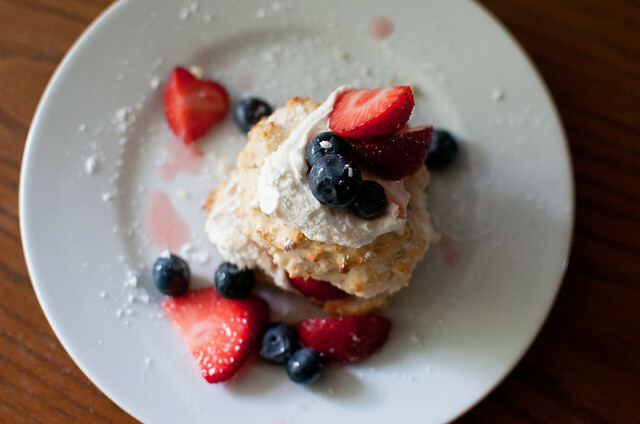 I use the Joy of Cooking dropped biscuit recipe for for my cake, a mix of strawberries and blueberries and top it off with mascarpone whipped cream. In a mini food processor, combine all the ingredients except the milk — just a few whirls, you can also used a pastry cutter or your hands. 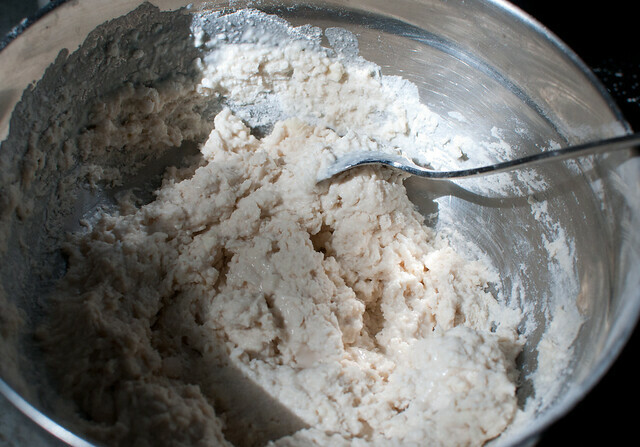 Then, transfer the mix to a bowl and stir in the milk. The batter will be thick and lumpy. 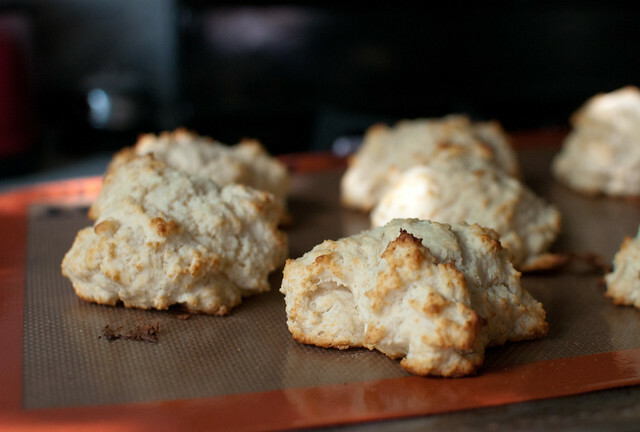 Drop heaping spoonfuls of batter on a baking sheet and bake at 450 degrees for 12 minutes, or until the tops start to brown. This makes about 9 large biscuits. In another bowl, use a mixer to combine 1/2 cup heavy whipping cream, 1/2 cup mascarpone and 1 T of sugar until stiff peaks appear. You can adjust the sugar to your taste, I didn’t want mine to be too sweet. 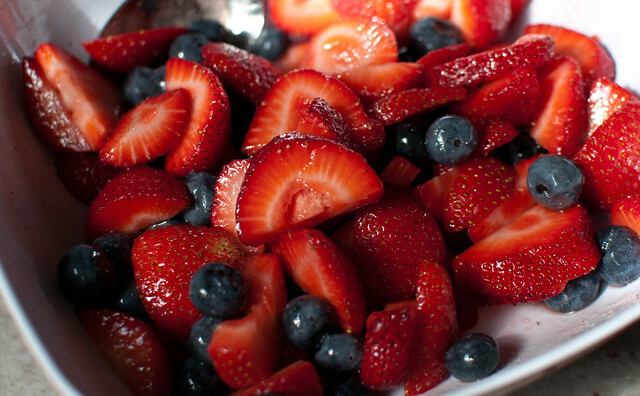 Then, assemble your dessert. 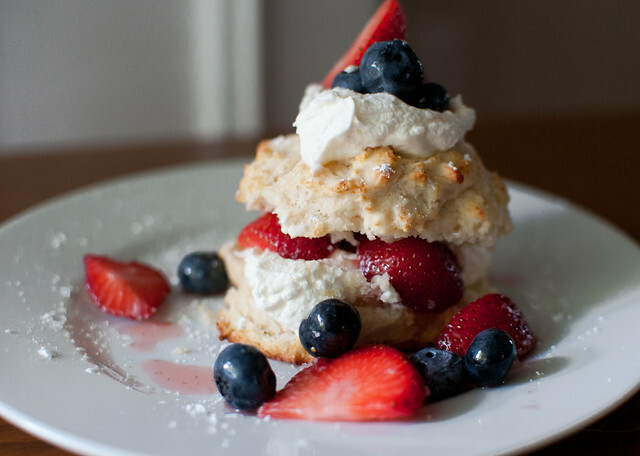 We layered half a biscuit, cream, berries, the other half of the biscuit, more cream, more berries and a dusting of powdered sugar. The trick is eating your masterpiece without it toppling over. Happy summer! Yum! reminds me of my childhood!